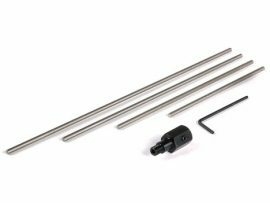 View cart “Collet Closer Stop Kit” has been added to your cart. 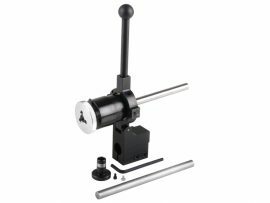 For those who want to use the P/N 1150 lever collet closer with riser blocks in place on the lathe, this taller base replaces the standard base. 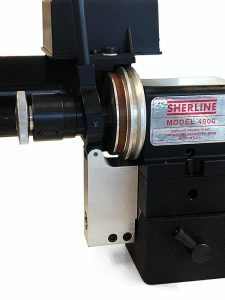 It can be ordered as an option or it can be specified in place of the standard base when ordering a new lever collet closer. An additional charge applies when specifying the taller base. The photo on the right shows the riser base in place. The photo shows a prototype part that was not yet anodized. 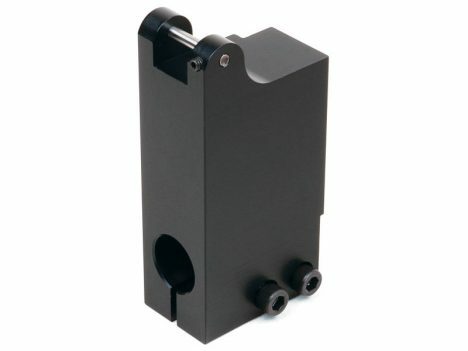 The actual part has a black anodized finish.